RARE REVERSE!!! 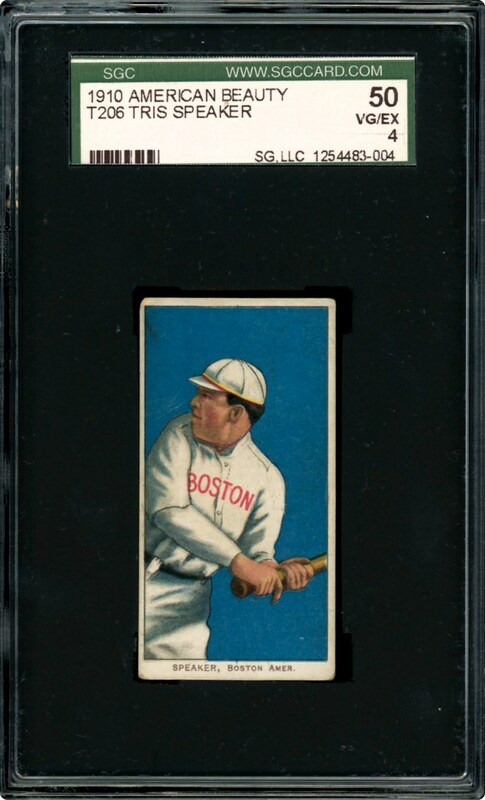 This T206 card of Hall of Famer Tris Speaker is offered in an SGC 50 VG/EX 4 holder. 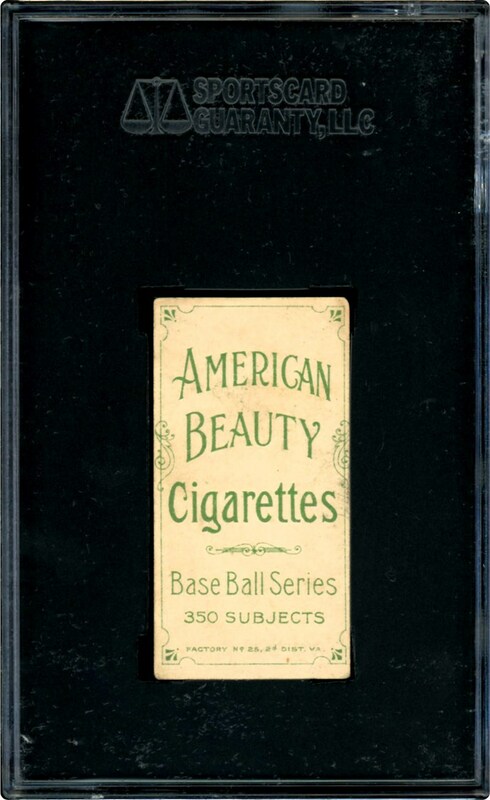 The key to this one is it has the American Beauty reverse making it extremely RARE. The back also has the 350/25 designation. Ultra RARE find offered here from 1909.